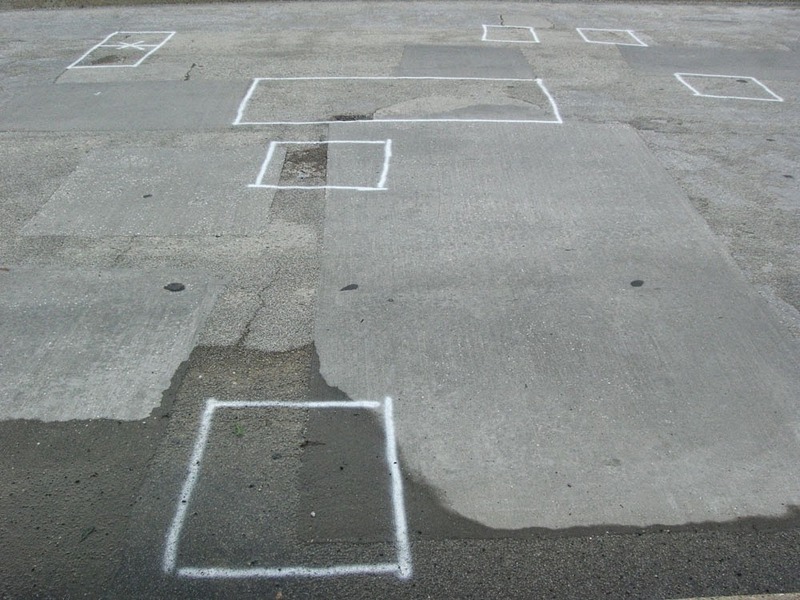 Recently a hopscotch course has been marked out on Rosslyn's Meade St. bridge. Playing hopscotch in the middle of a busy road is crazy. The Ode Street Tribune urges residents to enjoy themselves more safely in Rosslyn's magnificent Ft. Myer Heights Park.